The Samsung Galaxy Note 7 has finally become a reality after it was officially unveiled by Samsung on August 2 just as leaked on a teaser. The device specifications have been rumored and leaked on numerous channels in the last few months. It promised a device which would be class leading in all regards. It has turned out to be true, as confirmed by the official specifications. In all previous iterations, the Samsung Galaxy Note 7 has been a tough competitor for any other device. Samsung has now extended this toughness to being more than just a word. The Samsung Galaxy Note 7 now enjoys IP 68 rating which means that it is the first generation Note phone to be waterproofed. It can be submerged in waters up to 1 m in depth. The lack of any flaps mean that one can be sure that the phone will survive accidental drops in water quite easily. If the phone had come with flaps, there would be a danger of the user accidentally leaving the flaps open which would render them useless. Aside from the water resistant capabilities, the phone is also protected by the new gorilla glass 5. Samsung has provided the addition of a new coral blue color to the line-up. This increases the attractiveness of the device quite substantially. It is also important especially considering that the Apple iPhone 7, which is expected to launch in the next few weeks, has been rumored to provide numerous color offerings unlike never before. 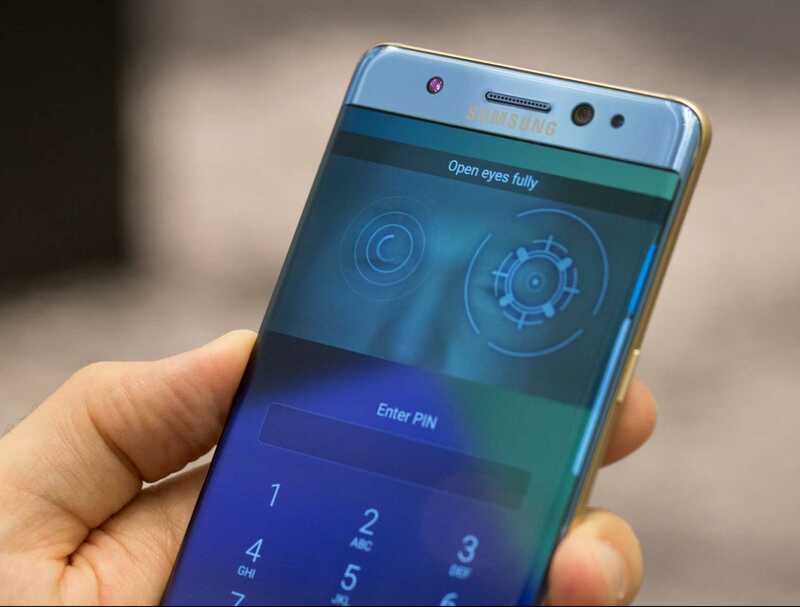 Some of the new additions on the Samsung Galaxy Note 7 include the iris scanner. Even though the phone has one of the fastest fingerprint sensors out there, the addition of the iris scanner can be termed as a real luxury. It is highly likely that users will favor the fingerprint sensor over the iris scanner, but it still is good to have the feature rather than not to have. The phone does not merely employ the front camera to scan the user. There are already a number of phones employing a similar trait with very little success. Instead, the Samsung Galaxy Note 7 has a dedicated iris scanner that is claimed to work brilliantly even when wearing sunglasses. It is also reported that the scanner will be able to differentiate between a real person and a photo. The device will be available for delivery in the next couple of weeks.